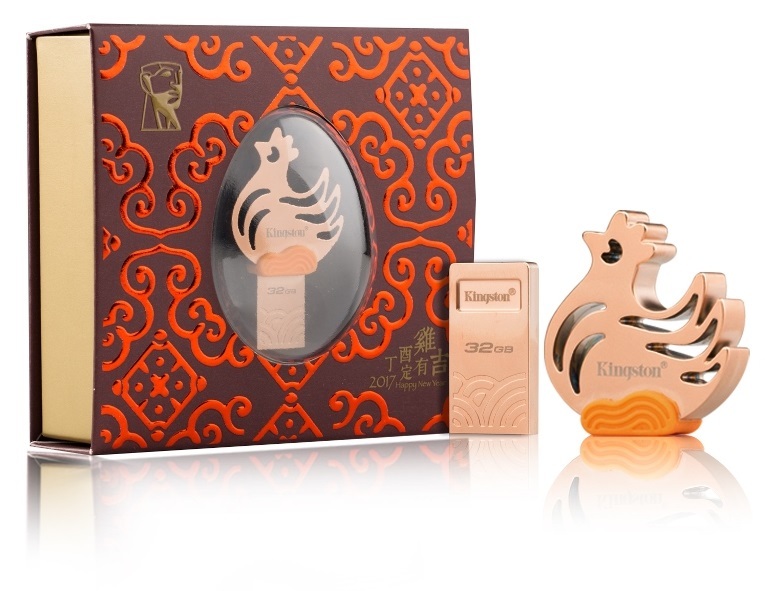 Kingston, the independent world leader in memory products, today announced The Year of the Rooster USB drive, the latest addition to its Data Traveler Chinese Zodiac USB drive lineup. Build with metallic rose-gold hue and USB 3.1 speeds, the Year of the Rooster USB drive has superior quality in a high-end design, which makes it a special gift for the joyful season. Kingston Data Traveler Chinese Zodiac USB drive lineup has been one of the most popular products among collectors over the years. This year, the laser cut-out Rooster USB drive comes in a unique-designed red-themed box. Shipping now, the simple plug-and-play drive with fast USB 3.1 performance offers convenient and easily transportable storage for pictures, music, video and other important data files. With a capacity of 32GB, the Year of the Rooster USB drive is backed by a 5-year warranty, free technical support, and legendary Kingston reliability.